as an engineer on our train simulator. 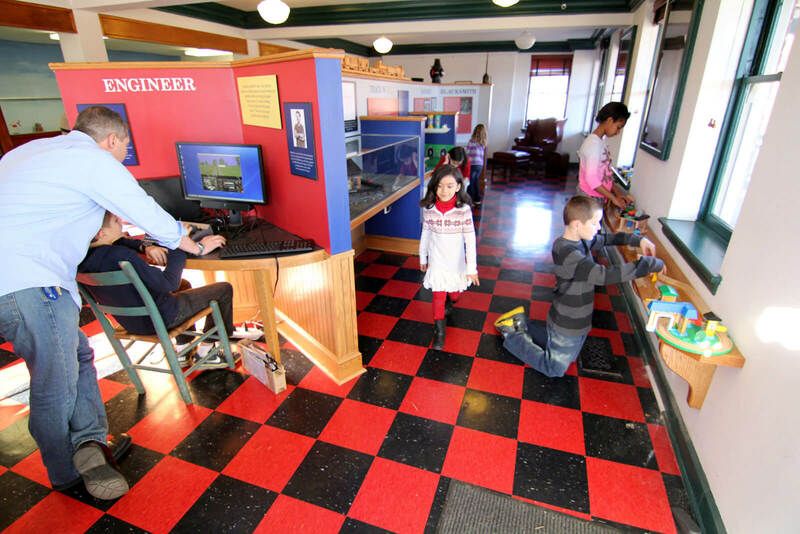 The For the Kids, by George Children's Museum is a hands-on experience designed to put children in touch with their heritage. Travel through the immersion galleries, take a bike ride along the Washington Heritage Trail, learn more about young George Washington and the rich railroad history of our area.